Home › Destinations › Vegas Shines! 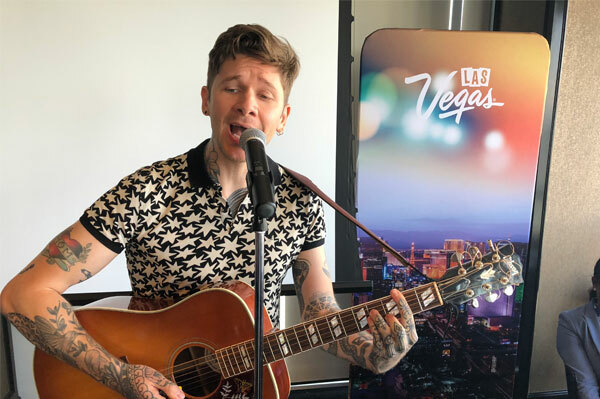 Leave it to Las Vegas to bring top notch entertainment like The Voice finalist Matt McAndrew to an industry event showcasing just some of what the “Entertainment Capital of the World” has to offer. The Las Vegas Convention and Visitors Authority is in the midst of an Eastern Canada sales mission, with 19 Vegas partners taking part. The delegation stopped by Toronto yesterday (June 12) after hitting the Niagara Region and making stops in Montreal today, followed by Quebec City. And, typical of Las Vegas, there’s lots of news as the destination continually renews itself. Canada remains its top international destination, welcoming 1.44 million Canadians in 2016 (the latest numbers released), and representing 25.3% of international visitors. Key to this is access, which from Canada is plentiful, with WestJet and Air Canada offering 123 direct flights a week. In total, travellers can fly from nine Canadian gateways. New entertainment options in Las Vegas include residency shows from Gwen Stafani (Zappos Theatre at Planet Hollywood), Lady Gaga (Park Theatre at Park MGM) and a limited engagement by Lionel Richie (The AXIS at Planet Hollywood). Also on the horizon is Marilyn! The New Musical and The Voice: Neon Dreams. Las Vegas is still coming off the high of the Las Vegas Golden Knights making it to the NHL Finals in their first year. Upcoming is a new WNBA team, the Las Vegas Aces, to be followed by an NFL team in 2020 when the Oakland Raiders will call Vegas home. A new 65,000-seat $1.5 billion stadium is well underway. 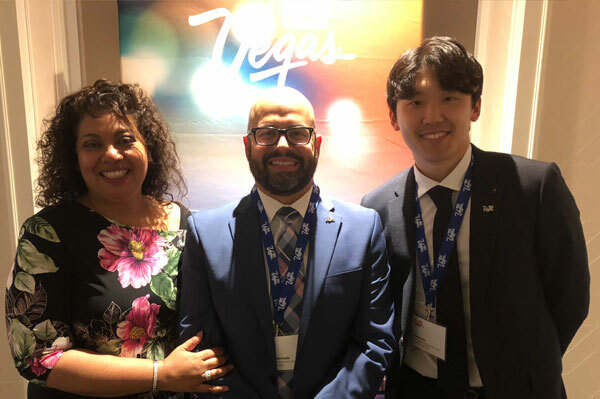 Pictured, top, are (l-r) Charmaine Singh, president, Reach Global Marketing (representatives of the Las Vegas Convention and Visitors Authority in Canada), Fernando Hurtado, international marketing manager, Las Vegas Convention and Visitors Authority, and David Han, senior account manager, Reach Global Marketing.